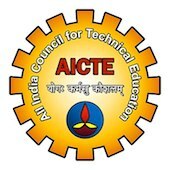 Online Application Details for All India Council for Technical Education AICTE Recruitment of Data Entry Operator and Assistant Director is given below. Application form and duly attested documents are to be sent to Director (Adman), All India Council for Technical Education, 7th Floor, Chanderlok Building, Janpath, New Delhi – 110001. In envelope super scribed with 'Application for the Post of Post Name'.